How useful is genome decoding? THE clue to a plant’s productivity and disease resistance lies in its genes. Thus plant genomics is touted to bring about a revolution in the field of crop sciences, unfolding avenues to create high-yielding and disease-resistant varieties. Till date, scientists have sequenced or are in the process of sequencing over 15 plant genomes. 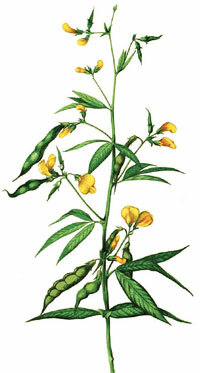 The latest deciphered plant is arhar or pigeon pea (Cajanus cajan). Two groups of scientists—one led by the Indian Council of Agricultural Research (ICAR) and the other by International Crops Research Institute for the Semi-Arid Tropics (ICRISAT)—have mapped the genome of this common Indian pulse after six years of rigorous research and spending crores of rupees. Their announcements came within the gap of a week. The scientists hope their finding will help improve the yield of this protein food. But how worthy are such extravagant scientific endeavours? The first plant genome was sequenced in 2000 when an international team decoded the weed mouse-ear cress (Arabidopsis thaliana), a model plant species. The research quickly picked up. While scientists have already deciphered the genome of important crops like rice, soybean and maize in the past decade, work is under way on papaya, lotus, tomato and cassava (see ‘Important genomes sequenced’ on facing page). Plant breeders are the direct beneficiaries of this genome revolution, says A K Singh, professor of genetics at the Indian Agricultural Research Institute (IARI). They use the data to identify genetic markers for disease resistance and drought and flood tolerance. Genetic markers are like landmarks on a genome pointing at the genes that affects a certain trait, he explains. For instance, Singh adds, rice genome was first decoded in 2002 by Chinese scientists, and then in 2005 by an international group, which included International Institute of Rice Research (IRRI). IARI scientists used the data to develop better varieties of Pusa Basmati-1 and Pusa Basmati-1121, India’s trump cards in rice export. They are resistant to diseases like blast and bacterial blight. Singh says the rice genome has helped them identify disease-resistant markers and develop superior varieties. Genomes also provide vital data for deciphering host-pathogen relation, says R K Jain, head of plant pathology at Indian Agricultural Research Institute. “So in addition to plant genomes, it is important to understand genomes of pathogens to control plant diseases,” he adds. Genetic information of ringspot virus, which causes yellowing of papaya leaves, helped scientists in University of Hawaii in the US to develop a disease-resistant variety of papaya, widely cultivated in the US. Glenn Bryan, who was part of the International Potato Genome Sequencing Consortium, says it takes five to 10 years for the real benefits to reach the public. Though the cost of sequencing has come down due to technological advances, analysis expenses are still high, adds Bryan, now working with Scottish Crop Research Institute in Scotland on how to use the potato genome data in breeding new varieties. David Dodds, who provides consultation to start-up biotech firms in the US, is sceptical of the benefits. “Genome sequencing is the first step in a lengthy process to better varieties,” he says. The scientific community is the immediate beneficiary as it helps them get a better grasp of a plant’s metabolic activities, he says. Sequencing a plant genome is analogous to taking a car apart when no instructions, no list of parts (genes) and their function is provided. If you take apart cars over and again, you will eventually be able to build a racing car. But no one can predict when, he explains. Apart from this uncertainty, there is often lack of concerted effort among scientists. Consider the latest genome projects of pigeon pea. The first announcement of decoding the genome came from a group of 31 scientists led by Nagendra Kumar Singh of ICAR. It was the first sequencing of plant genome to be done using Indian talent. At the cost of Rs 11 crore, the ICAR team sequenced 61 per cent of the genome and identified 47,004 genes in arhar. About 1,200 genes are associated with disease resistance and 152 with tolerance to drought, heat and salinity. They published their findings in the October 25 issue of Journal of Plant Biochemistry and Biotechnology. A week later, a global effort led by agri research body ICRISAT published in Nature Biotechnology that it sequenced 72.7 per cent genome and identified 48,680 genes of the pulse. They accomplished the research by outsourcing the work to a Chinese firm, Beijing Genomics Institute (BGI)-Shenzhen. Both the groups initially worked together to sequence Asha variety of the legume under the India-US Agricultural Knowledge Initiative (AKI). But they parted ways in 2009 after the sponsorship of AKI got over. The two groups could have combined the efforts and produced more expansive results. As Singh of ICAR points out the ICRISAT group outsourcing most of the work to a Chinese firm was the major cause of differences between the groups. “I was interested in capacity building. Genomics is a new field for our country, and we need to train our scientists in the sequencing technology,” Singh says. Despite the differences, both groups are open to the idea of collaborating for improving pigeon pea productivity. Singh says he would be willing to collate genome data from the two reports published independently as it would help bring out a better product. Says Rajeev Varshney of ICRISAT. “We have already started discussing with ICAR and other institutes to prepare a plan to use the genome data in breeding programme. We are hopeful that soon we will have a good force in place towards improving pigeon pea productivity.” The pigeon pea genome would reduce the time required to develop new varieties by half. Generally, it takes eight to 10 years to develop a superior variety of pigeon pea. “Our preliminary analysis has already provided us a set of candidate drought responsive genes. These genes now need to be characterised and validated,” Varshney says. “We do not need to sequence every crop we can get our hands on, but sequencing of legumes is important in India,” says Suman Sahai, geneticist and convenor of non-profit Gene Campaign that rallies for food and livelihood security. Conventional breeding has not had much success in producing better varieties of the crop, she adds.